It’s no secret that more and more people are using mobiles to surf the web. Mobile is huge and is increasing year on year – there’s no getting out of it. This leads us on to our main topic in this article nicely, making sure you nail mobile web development. Now it’s true, mobile conversion rates aren’t as high as using traditional devices, but it’s still majorly important to your business. Your website is your flagship – it’s the thing that represents your brand and your values. Get it wrong and customers can be unforgiving, get it right and you can hit a goldmine. 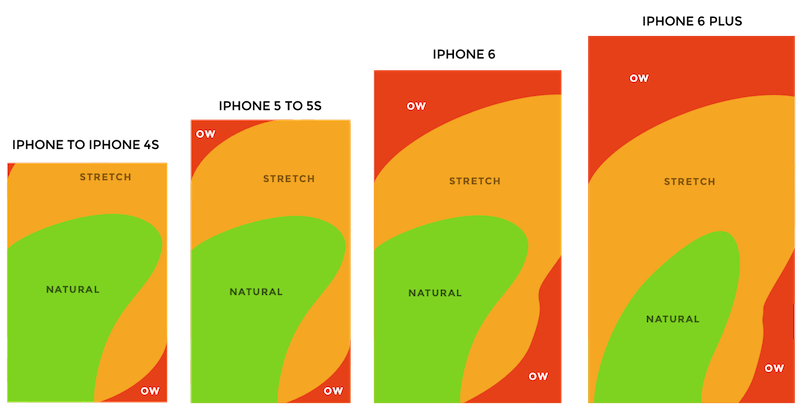 There has been a lot of research into how users actually use websites when on mobile, and one of the most interesting points is about the reachability of the thumb. Apparently, 49% of users use one hand to do what they need to. This begs the question, why isn’t everyone using these guides to develop the mobile versions of their site. Surely, you’d want to prioritise key call to actions where people will be reaching too – not where people either can’t reach or have to stretch to get to your main navigation bar. It is obvious when I say, the bigger the screen, the bigger your hands have to be to reach certain parts of the screen. And with the new iPhone X being released, with an edge to edge display, it’s even more important that key areas are in positions where people can reach. Apple half combated this by including the reachability feature, but even so, make it easy for the user by helping them out and giving them a reason to come back. Netflix follow the trend, and especially when looking at what they would like a user to do – They want a user to click on a film and watch it, and this is reflected by the reachability, with the top picks and recommended films being in constant reach, whereas the bigger, more general banner is at the top of the page. I think it’s safe to say that more people should be putting more thought into where certain things go when it comes to mobile, and this will be a key part for the future. Interested in checking out our Website design services? Check it out here.